JMD Training is proud to offer a series of IT training courses and computer training courses, designed to be delivered at your place of work and which are fully customisable for your specific requirements. All of our computer training courses can be adapted to include bespoke company software as well as the common Microsoft Office packages and their components. 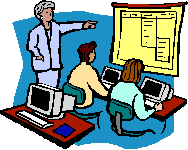 We also train Microsoft Visio, Microsoft Project, Crystal Reports and Quickbooks. We train in the various versions of the Microsoft Windows operating system. Because we come to you and there are not people from other companies on your IT training courses, all our training is fully customisable for your specific requirements. During the IT training courses, we can leave time to work with your particular files, if required. This will make the learning experience completely relevant and rapidly increase the productivity of those attending. Our IT training courses include basic good practice, backup, filing and general computer use, as well as troubleshooting, tips to make you more productive, and understanding jargon. Our computer training can be conducted from a complete beginner level up to any stage you require – and can be commenced from any stage of competence and knowledge, too. Our trainers all have expertise in delivering IT training in a ‘real-life’ environment and have all used the packages to create custom solutions for clients. They are very patient! We deliver IT training in London, Bristol, Cardiff, Birmingham, Bath, Swindon, Reading, Bracknell, Newport, Swansea, Hounslow, Kingston, Staines, Croydon, Leatherhead, Surrey, Reigate, Redhill, Dorking, Weybridge, Walton, Epsom, Esher, Ewell, Woking, Banstead, Ascot, Heathrow, Uxbridge, Ealing, Surbiton, Farnham, High Wycombe, etc. We also provide training in Effective Use of the Internet, and run Train the IT Trainer courses. We are happy to unravel the mystique surrounding computers, particularly for those who find them frightening. Whether you just want to be able to use the software you have more effectively, or need to train your office in best practice, JMD Training is here to help. We provide computer training in London, Richmond, Twickenham, Kingston, Hounslow, Brentford, Putney, to the M25 corridor. Please contact us for further details and sample course outlines.